Invoice history based on 315 reviews. The company was founded by Will Hawksley and PJ Luard, two engineers who wanted to build a business based on their own high values and work ethic. 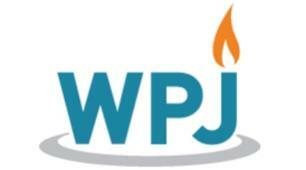 Today, WPJ Heating has grown to 26 employees and there are three main strengths that define us: clear communication, top-notch trade skills and always putting the customer’s interests first. With over 700 positive reviews across different platforms, we are proud to see that our hard work is paying off. It’s simple, we do what we say we are going to do and keep you fully informed, so that you can continue your day as planned. To name a few - fixing boilers, replacing boilers, installing central heating systems and new radiators, repairing leaks, unblocking drains, fitting new taps and showers right through to complete new bathrooms or wet rooms. Diagnosing all manner of problems is a strength of ours, we resolve issues where others fall short. We are Diamond Members of the WAI scheme which means that we are accredited to install Worcester boilers, solar water heating, and heat pumps. The Diamond level is the highest grade, so we can give you the longest guarantee on Worcester boilers and products, anything up to 10 years depending on product. Our engineers regularly attend all manner of training courses in order to keep up to date with the latest technology and latest products. This way we are always at the forefront of the industry and best placed to advise customers on their choices.